Defranco Film Productions™ is an independent production company that creates exciting and engaging content in every genre. Operating as an independent studio in the United States, Canada, and China we utilise local creative talent for all of our projects. 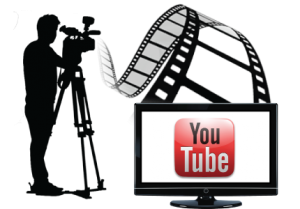 While Defranco Film Productions primary creates social media, viral, news and comedy skits and video content right now, there are plans to expand into mainstream television and eventually cinema films and digital media around the entire world. We create content where our customers feel better after watching it then they did before. We want to uplift our viewers and make their day more positive with the projects that we create. Putting a smile on people’s faces puts a smile on ours. We always try to utilise the local talent made available to us when we can for our projects. Creating local jobs and making opportunities available for our communities helps us create more high quality and meaningful content that our customers will enjoy. We not only create meaningful content, we create a cultural lifestyle. Our customers enjoy what we bring to their lives and we have become part of their family. We are proud to create the content that we do and the lifestyle we share.